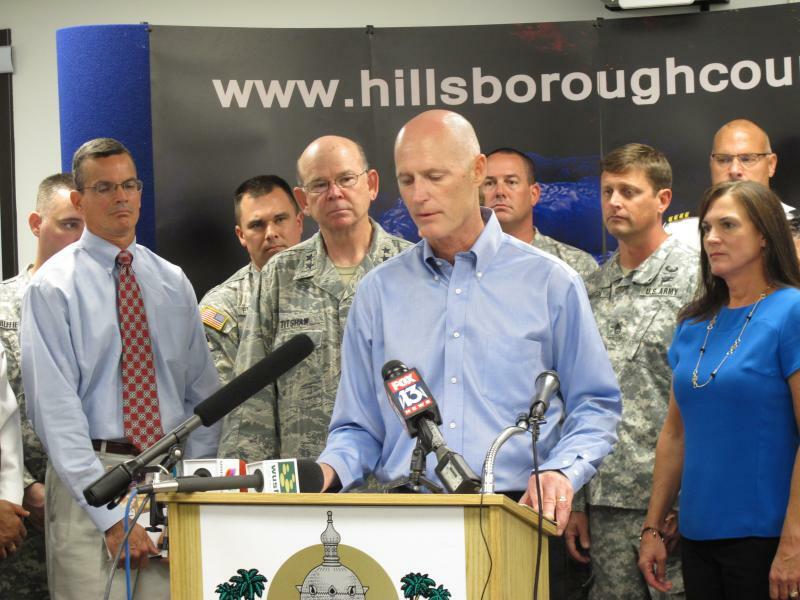 Listen to the exchanges among Governor Scott and the reporters here. Gov. Rick Scott dodged questions on Monday at a campaign event in Largo about a recent campaign stop in Tampa, to which on-duty police officers were invited. Then on Tuesday, when Scott was in Tampa on official business on hurricane preparedness, reporters again asked him questions outside that topic. One of the questions was, "Why do you think you have a reputation for not answering questions?" In the end, both reporters and the governor got a bit testy. Gov. Scott stpeed in Tampa to urge Floridians to get prepared as the hurricane season ramps up, but reporters asked a swirl of questions on everything but hurricane preparedness. Governor Rick Scott held a media availability after a hurricane preparedness press conference in which both the governor and the reporters got a bit testy. One Fox 13 reporter asked about an Orlando International Airport expansion that would include space for a private passenger rail terminal. Public money would help with the expansion. "How do you say then, that it is not getting any public support?" asked the reporter. "It's not. It's a private company, it's a private venture at the Orlando Airport," Scott said. "This is an expansion because they're growing." The reporter tried to restate the question, interrupting Scott. "Excuse me just a second, I'll finish. If you remember, the state's growing," Scott said, "We're going to have possibly 100 million tourists this year. So Florida is growing, that airport is expanding. My understanding is that they're going to connect with the airport but this is a 100-percent private venture." The relentless reporter tried again. "Even though more than $200 million is going to the terminal for All Aboard Florida?" "It's going to expand the terminal because tourism is growing. It's great what's happening. We're going to have, looks like 60-million-tourists-plus this year in the Orlando area, 100 million statewide, so look at our state, it's growing, people are moving here. It's exciting," said Scott. Another reporter changed the subject and asked if the governor is doing anything differently to make sure that there is no repeat of what happened last week, when on-duty officers were invited to what turned out to be a Tampa campaign event. Scott's answer threw a few jabs at potential challenger Charlie Crist. "We are always making sure that we comply with the law and comply with the rules," Scott said. "Here's what's nice: The Police Chiefs Association. I'm real[ly] proud that they endorse me, 40 sheriffs endorse me. People want to come to our campaign events, we let people know. But look this is all Charlie Crist's mudslinging. He doesn't have anything to run on. He can't talk about jobs- he lost jobs, 132,000 jobs. He can't talk about education- he cut education funding. So we're doing the right thing and I'm proud that people want to come to our campaign events." On the Charlie Crist subject, the Fox 13 reporter asked about the minimum wage and interrupted the governor again. This time, Scott addressed the interruption. "Charlie Crist is running on a higher minimum wage. Do you support a higher minimum wage, yes or no?" the reporter asked. "I support more jobs," said Scott, "I support higher paying jobs. That's why I recruited Health Plan, Hertz, Deutsche Bank, all these companies. We've done 350 transactions--"
"But do Florida voters not have---" interjected the reporter. "Excuse me just a second," responded Scott, "I'll finish, I'll finish, if you want to do the interview, you go over here. We're growing jobs in our state. Here's what's exciting: we're attracting high-paying jobs. Corporate offices are coming to Florida now, regional offices are coming to Florida, that's what we're doing. I'm trying to grow the state by adding jobs." As the governor's handler announced "last question," the second reporter chirped up again. "Why do you think you have a reputation for not answering questions?" "Oh gosh, I answer questions," said Scott, "I have the opportunity to talk to the media a lot. I love traveling the state, I talk to people all over the state. It's an exciting time to be in Florida. Have a great day. Bye-bye." In the end, Governor Scott answered all the questions, just probably not in the way reporters wanted him to. Florida was spared the wrath of Hurricane Arthur, the storm that swept through the Atlantic last week. But Gov. 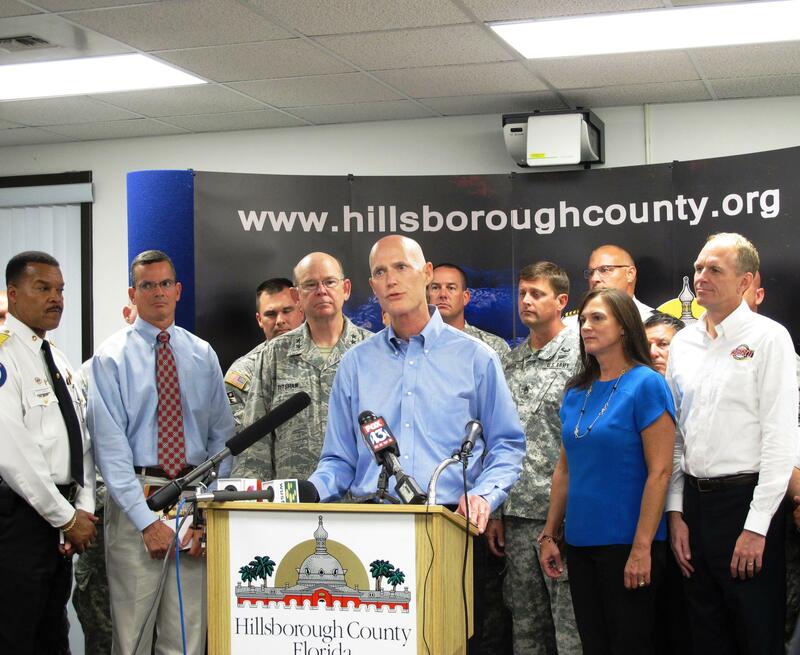 Rick Scott joined local emergency officials in Tampa today to remind Floridians not to get too comfortable. During the news conference, Bryan Koon, Director of the Florida Division of Emergency Management, warned that this could be the calm before the storm - especially for Tampa residents. In a blow to Gov. Rick Scott, the U.S. Supreme Court on Monday said it would not take up his appeal of a ruling that blocked across-the-board drug testing for state employees. The Supreme Court did not give a reason for its decision, which was included in a list of dozens of other cases it declined to hear. Justices receive thousands of appeals a year but decide to hear arguments in only about 100. Sitting in a circle with five current high school students and their parents, Gov. Rick Scott talked about the cost of college and the importance of keeping tuition low. Scott stopped by Jefferson High School in Tampa on Wednesday to talk with students about college tuition and took the opportunity to bash his opponent, Charlie Crist. "We've got to reduce the tuition increases that Charlie Crist created back when he was governor, we have to un-do that wrong," he said. Despite spending millions on television ads, Republican Gov. Rick Scott is trailing former Gov. Charlie Crist by 10 points in a new poll. 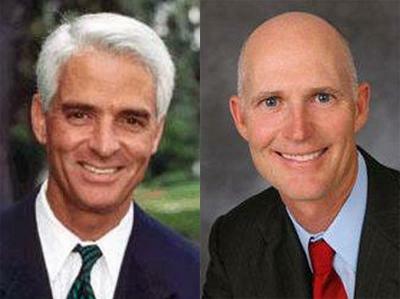 The poll released by Quinnipiac University on Wednesday has Crist leading Scott 48 percent to 38 percent. Pollsters also found that 53 percent do not think Scott deserves a second term as governor and that 42 percent approve of the job he's doing. Florida Republican Governor Rick Scott is no fan of taxes, promising to "oppose and veto any and all efforts to increase taxes." And PolitiFact Florida says Scott has followed through on that promise. 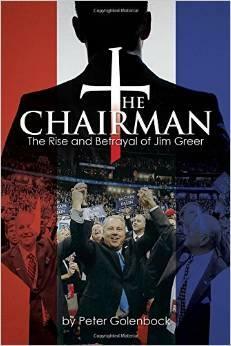 Former Republican Party chairman Jim Greer was sentenced to 18 months in prison last year for stealing party money. But according to St. Petersburg author Peter Golenbock, Greer chose to plead guilty rather than opting for a trial that could have exposed party officials. Before backers of the $1.5 billion private venture by the subsidiary of Coral Gables-based Florida East Coast Industries expand to other east coast communities, and at more distant points across the state, they want to know they’ll have a chance to recoup their investment before adding stops. That didn’t prevent members of the Senate Commerce and Tourism Committee this week from expressing a desire for the private venture to start making plans to expand the service west to Tampa and north to Daytona Beach and Jacksonville.